The only people pointing guns were these self-styled vigilantes who think they are still living in the wild west. I am sick of the scofflaw Bundys. I think they should be driven off the land and their ranch should be confiscated to pay for fines and fees that have not been paid in more than 20 years. They were not negotiating with the government. They just did not want to obey the law. Their fellow conspirator, Ryan Payne, said he wanted to “keep people safe, open the land and free the cows.” The way for people to be safe was for Mr. Payne to have stayed in Montana where he belonged. Opening up public land for private profit would see people ranching in Yellowstone and cutting down redwoods in Yosemite. The cows rightly belong to the government and the American people. The only people pointing guns were these self-styled vigilantes who think they are still living in the Wild West. The federal agents were the ones who showed restraint because they did not want another Ruby Ridge or Waco. The people who endangered women and children were these criminals who were not demonstrating, because we know what demonstrations look like. We have seen demonstrations by millions against dictator Trump, and not one gun was in sight. 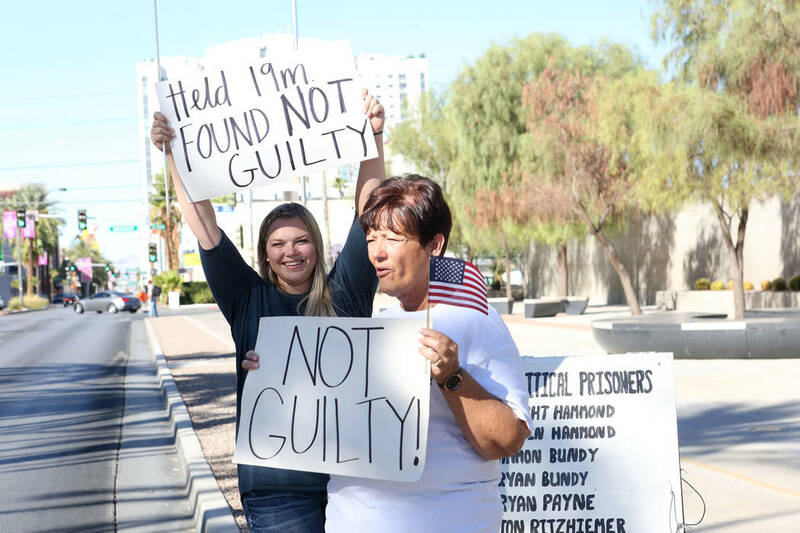 The Bundys and their gun-toting friends belong in jail.